This impressive pack is refreshing with a minimum 130 bpm across the board. The Italian label Etruria Beat ran by Luca Agnelli has explored different sounds in it’s varying releases, with the Techno prominent ones my obvious preferred tipple which have included some undeniably massive tracks. They caught my eye initially from seeing DJ Emerson and DT guest Mattias Fridell on remix duty and this new release just reinforced their winning direction. 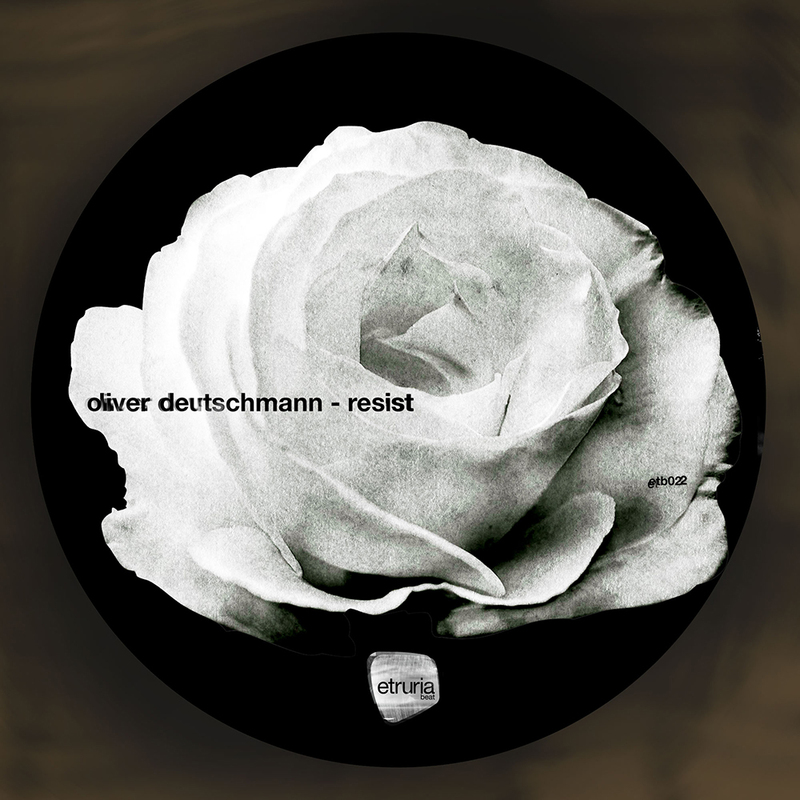 Oddly, the first track is Luca’s remix of Oliver Deutschmann‘s title track “Resist.” Thud, it fires off with a looping rough texture and subtle accent from a soft synth with perfect delay, in no time at all the hat was the icing on the cake. A great combo of layered hats and claps drags you with it at all times, as a haunting whirl creeps in and the key vocal makes it instantly a banger. If that wasn’t enough, stuttered, low mid synth stabs raise the energy up a notch again until the break and at this point it’s more than needed as it recharges for mayhem to ensue. The second track is the original of Resist, that has a more old school drive about it, from a fairly damp kick that’s nearly out shined by a wicked throbbing sub bass roll underneath it. It packs an unwieldy punch that exceedingly works out the ears, where an overall tribal emphasis is also apparent. It’s like stepping back in time to a banging rave, such a beast. “Hope” the third offering is a completely different animal. Exhibiting a melancholic vibe from whining synth notes that have a slightly sinister edge too. A really interesting combination at play that shouts Berlin warehouse to me, as the tough 909 beat drives on and increases tension with crushed screeches, faint crunches and crackles. Rolling toms thrown in to the groove amongst the other textures really mesh well and make this a timeless tune. Skryptöm head honcho, Parisian Electric Rescue has his presence instantly felt, giving a freaky makeover by adding new looping lead notes like a surging current with additional blips and beeps for sonic satisfaction. He flips the beat with a droning, powerful sub that’s accompanied by hats appearing at different depths in the mix to show attention to detail. The original synth notes are chopped in this too, taking on their own personality, where a lot of hidden depth shows a real maestro making a technical rework sound effortless and unique at the same time. Amazing to say the least, these works just need to be heard.